Most of the time new bloggers spent their time for searching tips and tricks for their blog to make it a success from the starting but never find the right answer to it, and I guess you are also one of them. Today in this article I will try to explain all the bits and bytes of a newbie blogger. In today’s time it’s very important to move with the crowed if you stay behind one step you will never be a success but if you stay one step ahead then no one can stop you from being a successful blogger. Many of the people who like to start their new blog sometime does not get the right topic to start off. Here are some suggestions to start off with blogging. These are the 5 Top Paying Niche in blogging At the Moment. If you choose any one of them you can make a fortune for yourself. Yes, this is a fact that almost all the newbie blogger face a first time failure. From which I have learned that every blogging niche is not the same and you have to choose the niche according to your knowledge of the niche. 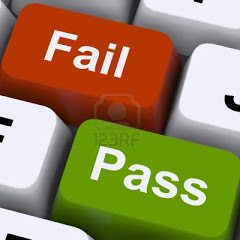 Many blogger after facing the failure leave blogging and move to something else than blogging. For those I will say never lose hope. Take the example of me only I have been blogging for 4 years now faced many difficulties on the way to success. But finally found the right niche for me to blog on. Now, it’s been clear that blogging is not free to some extent. 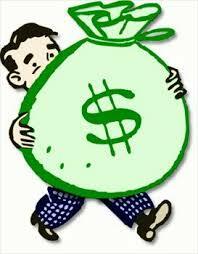 If you want to make real cash out off your blog then you have to invest some cash first into the blogging itself. First you have to buy a Paid Domain. Paying for Domain will ensure your Good Google Ranking for sure. As we all know Paid Domain have a priority in website world. To get a Paid Domain you only have to invest around Rs500 (for India) per year. This is a Good Price to pay if you want to make cash per month from your blog. After long time I came to realize that you shouldn’t have partner in blogging. You can hire content writer or professional author for your blog but never make then partner in your blog like 50-50 partner or anything like this. One of the major reasons for my saying not to have partner is that because you have to pay him from your own pocket even before you start earning. Let me remind you that you will start earning from your blog after 3 months of the starting date because even if you apply for Google Ad Sense you will have to wait for 3 months to get some good traffic and loyal readers. One more thing that I have noticed that most of the newbie blogger does not show ad’s on their blog from the starting. The major drawback of this is that when in later stages you will apply ad’s on your blog people will already know that this is a ad and they won’t click on that. If you put your ad’s from the start they will never suspect which one is advertisement and which one is blog content. This helps to get more clicks on your ad’s. Thanks for reading Plz Leave a Valuable Comment. Really helpful tips! I was totally lost until I read them :) Thank you so much, I can't wait to try it out! Yes.. Very Very Helpful . The Article you have provided is really awesome. In partnership it is easy to trust if you are good friends this what i think about it. Thanks Krishna for your comment. And its good to dont have a partner in blogging if you are not willing to invest other wise its important to have one. Benny has shared the most important points that every blogger should keep in mind. If you want to be a successful blogger, these tips will help you in the right direction. 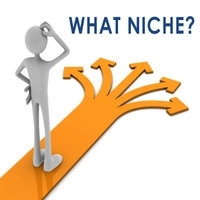 Selecting the right niche is always the first thing. What you write, if it don't interests you, chances are that you will never produce an article that will interest other. Thanks LJ , hope this will help you.